I was in Austin 2 weekends ago for my best friend’s Bachelorette Party and on our last day there we decided to check out South Congress Avenue, or SOCO for those of you familiar with Austin. This avenue is lined with little boutiques, restaurants, street art and live music! It has a really cool laid back vibe. 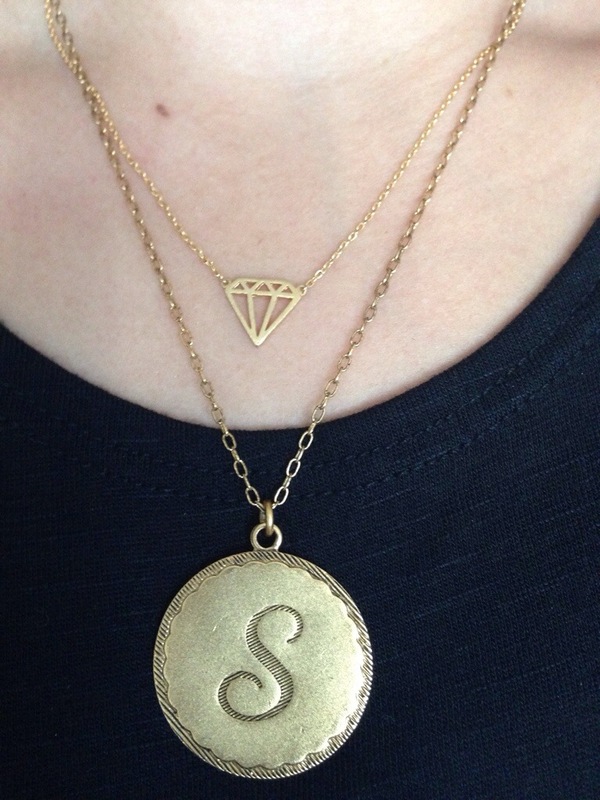 We didn’t have that much time to shop and explore because unfortunately our weekend trip was coming to a close but we did manage to go into a few boutiques and I happened to find this “S” initial vintage looking gold plated necklace. I love it on its own and also layered with some of my other delicate gold necklaces! The jewelry in Blackmail is unique which I appreciate. I tried on a mesh chain collar from the 50’s that was selling for $900 dollars! If you happen to be in Austin definitely pop into Blackmail Boutique! Image | This entry was posted in All Black, dress chic for me, dresschicforme, fashion blogger, Metallic and tagged austin, austin shopping, blackmail, blackmail boutqiue, boutique shopping, DCFM, diamond necklace, Dress chic for me, dresschicforme, fashion blogger, fashion fiend, gold, haute bride, initial necklace, los gatos, S, SOCO, south congress, travels of dress chic for me, vintage looking. Bookmark the permalink.